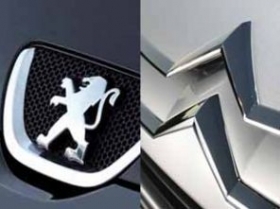 PARIS (Reuters) -- PSA/Peugeot-Citroen is not planning further asset sales after the disposal of its logistics unit Gefco, CEO Phillipe Varin said. PSA signed a deal on Monday to sell its 75 percent stake in Gefco to Russian Railways for 800 million euros ($1.03 billion), which will see the state-owned railway monopoly pay a special dividend to PSA of 100 million euros. "It's clear that we've had an asset sale program in place since the beginning of the year, which has been executed on," said Varin at a press conference. "We don't intend to sell any more assets," he said. "The completion of the Gefco transaction is now exclusively subject to relevant antitrust approvals and should take place before the end of the year," PSA said. The deal is part of PSA's ongoing program started last February to sell 1.5 billion euros of assets and stem losses that have forced the carmaker to seek government subsidies. As part of a restructuring program, PSA is scrapping 8,000 jobs and closing its Citroen C3 production plant at Aulnay, near Paris, to try and halt losses approaching 200 million euros a month.